I guess it was a simpler time, and a simpler place. Growing up in the 70’s in a town with a population of 65, and nearest large town about 20 minutes away, and that only having a population of a couple thousand, things were quieter. You didn’t lock your doors, you often left your key in the car. If you visited someone you almost always did, so that people could move them as necessary, or just take the most outside one. A lot of people kept some sort of livestock, and a lot more kept a work horse, though for many, and my dad for sure, as much a pet as a work animal. In those days you kept your horses and livestock on your land in winter, available for use, and often let them roam free in summer. 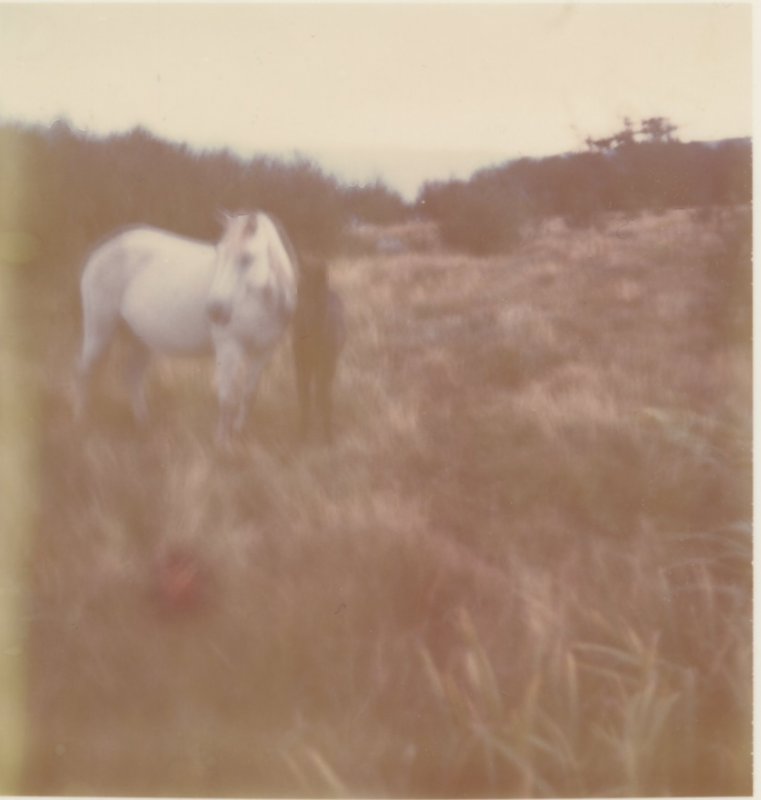 Seeing a group of horses walking down the road as they roamed the island over the summer was a common thing, and we often knew which to avoid as there were always a few saucy ones. It was also not so uncommon to accidentally step in some stinky sheep manure, especially in patches of grass where you couldn’t see it. Sheep were especially annoying as if they saw a fence, they just had to try and get behind it, and of course, when they did, not being the brightest of animals, were nearly incapable of finding the open gate when you tried to herd them out. Horse manure wasn’t as bad, being quite a bit larger. I can often remember in winter we’d use a frozen road apple as a hockey puck in our games of hockey. Dad had a horse, and I guess the name he gave her, Pet, showed that he thought as much of her as pet as a work animal. She had some Smith traits too. Stubborn for one, she could not pass one water hole when pulling wood in winter without getting a drink, no matter how often she had passed it, and no amount of coaxing got her to go till she was ready. Pet was large for a horse back home too, larger than most of the others. I really have no idea if she was a Newfoundland pony or not, but was larger than most of the males. I assume this is why she never had a foal till she was very nearly 20 years old, nearly ancient for a horses, or at least those I knew. But this one summer, we had heard someone say she had one. We tracked down the herd near the brickyard near Snook’s Harbour, and sure enough there was a little black foal with her. We named him Frisky as he was a handful. We eventually sold or gave him away, he didn’t have the best of temperaments to my memory. But still the sight of a herd of horses, roaming free for the summer, stopping traffic on times, was a memory of growing up that I’ll always cherish. Newfoundland culture is a victim of ‘culturalcide’. No roaming livestock, no hunting (except coyote), no skidoo without a trail license, no fishing, no outports. Keep writing about how things were, Peter, so people can remember what it meant to be a real Newfoundlander.